Dying eggs, marshmallow peeps, and finding my Easter basket were 3 of my favorite things about the upcoming holiday. It's a great, low-stress holiday where you spend time with family, have a great meal, and have a grand Easter egg hunt. But did you remember to decorate? 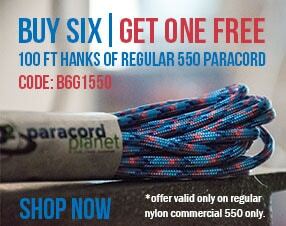 Or want to spruce up some older decorations with new paracord? There are a handful of really awesome paracord projects you can do to add some DIY to your decor. Here are 4 Easter Paracord Projects to get you ready for the weekend. Here is a series of 4 videos on how to make a GREAT Easter basket that you can use for years to come! Here is a photo of the finished Easter basket from the video series by Ralph Edward Harper. Enjoy! Here is a very cute tutorial I saw on a paracord bunny, perfect for Easter or even if you have a pet bunny! This tutorial, by JD of TIAT will need to be slightly adapted to be formed into an egg. How awesome would it look to have a basket with a ton of different colored paracord eggs?! A dainty paracord bracelet in fun colors also makes for a great accessory for Easter service. 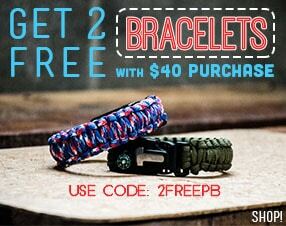 Speaking of paracord colors, there are a few great options for this time of year! The first one is our Glow Cord. It comes in pastel colors AND glows in the dark! How fun for children making paracord bracelets or searching for their basket or eggs! Another other good color scheme is our 550 Neon Paracord, they're fun, they're bright, they're perfect for spring! What would you add to this list of paracord Easter projects? Follow us on all our social media platforms Facebook, Twitter, Pinterest, Google+, YouTube and Instagram.